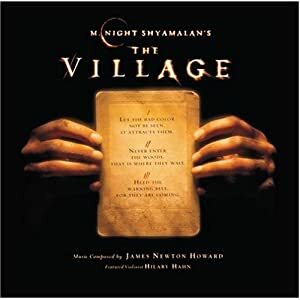 James Newton Howard scored this M Night Shyamalan film. With a flurry of strings, led by a violin or a flute this album creates an atmosphere that suggests some unknown secret lies just around the corner. At times the secret is even something you will be afraid to discover. Heavy percussion on some tracks makes the danger very real, such as track 4 “Those We Don’t Speak Of” and track 12 “It Is Not Real” which uses horns to create a sound not to distant from the primitive aggression heard on The Planet of the Apes Soundtrack, unfortunately the mood quickly clams on this track and stays quiet. Other moments are just somber explorations of strings, such as track 11 “The Vote” which is backed up with piano.